While messing around with the Sewta update I became obsessed with some of my old Void miniatures and thoughts of updating them as well. 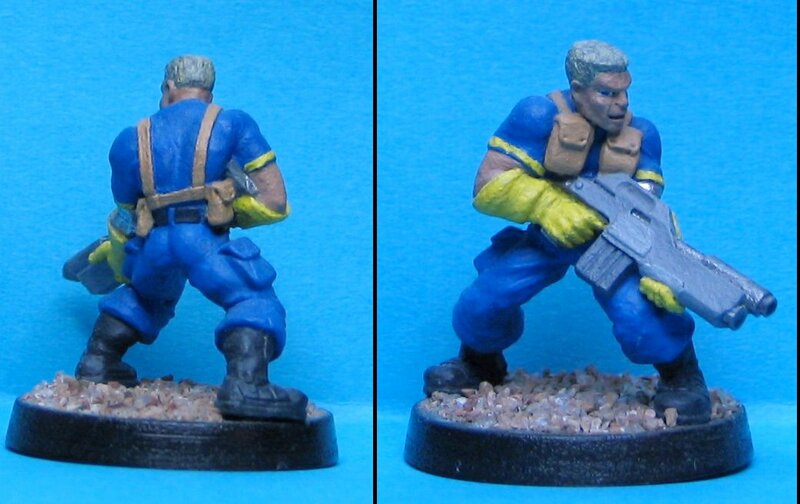 the first one to actually get an update is this Viridian Marine I painted up as an homage to the character Cable from the various X-Men comics. He's an homage so he wasn't meant to be an exact copy of Cable- I named him Korde to avoid any confusion. I got some bits together that I thought would make him even more Cable-like than the simple paintjob from 2001. First came the targeting scopes for his rifle. I figured if I couldn't easily convert the gun into a massively oversized Cable-type of gun I could at least give it a couple of scopes to help bulk it up a little. Next was the high-tech backpack. 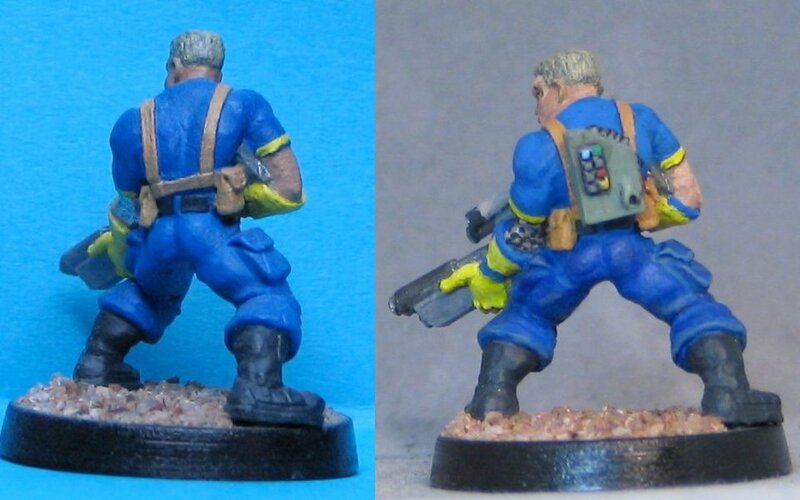 His back looked pretty bare so I added one of the original plastic 40K Space Marine techy bits as a backpack. It's got lights and vents and stuff, who knows what they do but they look impressive. So now he's basically finished. But since I've seen the pictures I think there are a couple more touch up things to do before he gets some matte sealer. I'm pretty happy with how his update turned out. Next up either a finished Sewta Update or an awesome Androsynth conversion.